4:30 p.m. ET | Senior administration officials have confirmed that the White House will make a formal announcement Thursday. Posted 9 a.m. 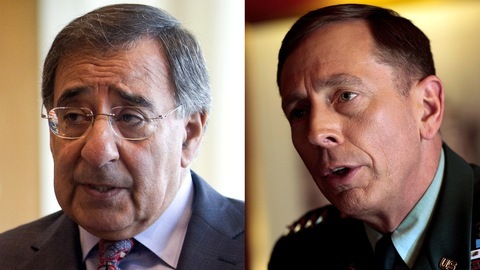 ET | According to sources cited by the Associated Press, CIA chief Leon Panetta will be tapped to replace retiring Defense Secretary Robert Gates and Gen. David Petraeus, leading troops in Afghanistan, would head to the CIA in a shakeup of the administration’s national security team. The White House is expected to announce the move on Thursday. Lt. Gen. John Allen would likely be tapped to replace Petraeus, and Ryan Crocker would replace Karl Eikenberry as ambassador to Afghanistan. Crocker was formerly ambassador to Iraq. The long-anticipated departure of Defense Secretary Robert Gates, held over from the Bush administration, started the dominoes toppling. His likely replacement, CIA Director Leon Panetta, is a veteran of Washington’s political wars going back to his first jobs as an aide to a California Republican Senator and in the Nixon Justice Department. He later became a Democratic Congressman, Budget Director and Chief of Staff for President Clinton. He was Mr. Obama’s somewhat surprising choice to head the CIA, and has defended the agency and its people with all the bureaucratic infighting skills he learned over the decades. Panetta’s likely replacement is Gen. David Petraeus, now the top allied commander in Afghanistan, also an accomplished Washington operator. He held the top military job in Iraq in the end of the Bush administration and considered the author of the “surge” of more American troops into that country in 2007, which has been credited in turning the tide of battle. Also in the mix is Petraeus’s diplomatic partner in Baghdad, former Ambassador Ryan Crocker. He is emerging from retirement to become ambassador to Afghanistan. Lt. Gen. John Allen, now the deputy commander of the U.S. Central Command, based in Florida and responsible for a swath of the world from North Africa to Central Asia, would step in to lead forces in Afghanistan. Another vacancy is looming, that of departing chairman of the Joint Chiefs of Staff Admiral Mike Mullen, but it is uncertain if a replacement will be announced soon. Stay with the NewsHour for more on these developments Thursday. An Afghan air force pilot opened fire on NATO troops at the Kabul airport, killing eight NATO soldiers and one contractor, reportedly after a dispute broke out. A Taliban spokesman claimed responsibility, but the Afghan defense ministry said the attack was prompted by a dispute, and that the pilot had been in the military for 20 years. The pilot was killed in an exchange of gunfire. The deadly shooting marks the seventh time that members of the Afghan security forces — or insurgents wearing the uniform of the Afghan forces — have attacked coalition troops. The incidents have raised fears of further infiltration into the Afghan National Army, as NATO prepares to hand over certain parts of the country to the control of Afghan forces. Just last week, an insurgent wearing an army uniform made his way past checkpoints and to the second floor of the defense ministry building wearing an explosive vest, killing two before being shot and killed before he could detonate the bombs. 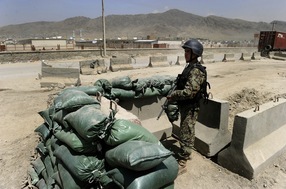 And earlier this month, two NATO troops were killed in the northern part of the country by an Afghan border policeman. Severe Weather Cripples Several States in South, Central U.S.
Two people are reportedly dead after a second night of intense storms in Mississippi, adding to the toll of at least 10 dead in Arkansas. The impact of the storm system could be felt from parts of Texas to Louisiana, and a broken levee in Missouri Tuesday caused evacuations in Poplar Bluff as a torrent of water inundated the rural area. Missouri Gov. Jay Nixon said 59 people were rescued from the rising water. 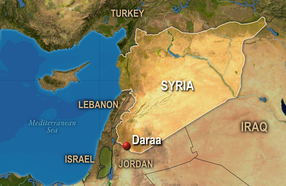 The Syrian army is beefing up its presence in the southern city of Daraa, the scene of an intensifying crackdown against protesters that has included early morning raids, tanks in the streets, and live ammunition, part of a nationwide response that has killed an estimated 400 people. Verification has become increasingly difficult as the Syrian government has prevented most foreign media outlets from having access to the cities where protests are taking place. Witnesses say the army also has moved in on areas around Damascus and in Banias, another focal point of protests. The government of President Bashar al-Assad has characterized the protests as an “insurrection” and vowed to put it down accordingly. On Tuesday, the U.S., Britain, Italy and France stepped up their condemnation of the brutal response and said that sanctions would be considered. The U.S. is evacuating non-essential diplomatic personnel.